FEATURES/SPECS Nothing says luxury and high society quite like alligator printed leather. 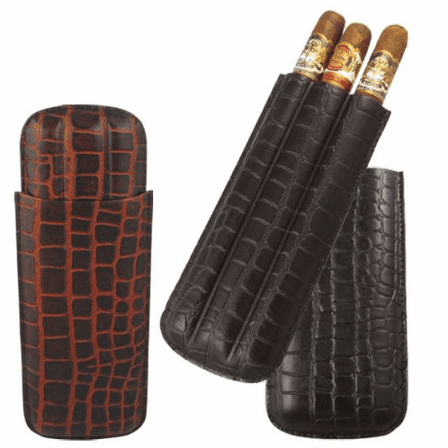 This alligator print leather cigar case is no exception. 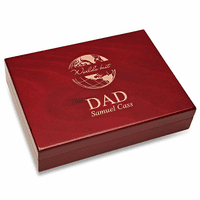 Available in black and brown, it holds up to three 54 ring cigars securely and stylishly. 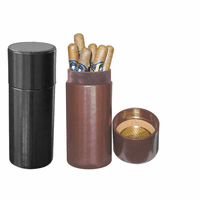 It has a telescopic opening that slides up and down smoothly to allow you easy access to your cigars. 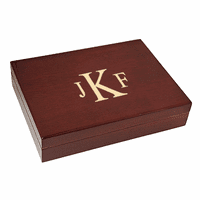 Insides, each cigar is held in its own thick cardboard tube to keep it fresh until your ready to smoke it.